LOUISSEIZE, Michael “Mike” - Passed away peacefully surrounded by family at his home in Bowmanville, on Sunday, March 31st, 2019 at the age of 57. Beloved husband of Yvonne for 30 years. HOOGSTEEN, James (Jim) - Gone to be with his Lord. Peacefully, surrounded by his family on Sunday March 31st, 2019 at 84 years of age. He is reunited with his beloved wife Jenny. O'REILLY (James), Phyllis - Peacefully at Lakeridge Health Oshawa on Sunday, March 31st, 2019 in her 100th year. Beloved wife of the late Eric James. Passed away peacefully surrounded by her family on March, 30th 2019, in her 75th year. MATTHEWS, Steven James Sullivan - Suddenly at Ajax-Pickering Hospital on Sunday March 31st, 2019 at the age of 26. 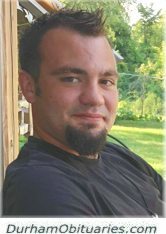 Cherished son of Sherie Matthews and Mark Sullivan. Beloved brother of Christopher Matthews and wife Jasmine and Shawn Andreae and his wife Lisa. Dear grandson of James and Barbara Sullivan and the late Roy and Florence Matthews. Loved by his nieces Cyerra, Aurora and Nova, many aunts, uncles, their families and his many friends. Noemie Lidia da Luz passed away peacefully, in Ottawa, on March 31st. Predeceased by her loving husband Frank and her two children Luiza and Rennie. 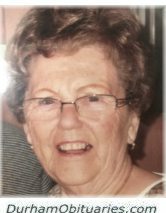 PETERS, Mary (Mollie) Elizabeth - (formerly of Ajax - (Pickering Village)) – Passed away peacefully, with her loving family by her side on March 30, 2019. Survived by beloved husband Charles Peters. Cherished mother to Cindy Doerksen, Kelly Peters and Steven Peters (Lee Walduck). Adored grandmother of Laura (John Miranda), Brandon (Judy Jacques), Alex, Jordan, Kelsey and Elyse, great grandmother to Robin and Liam. 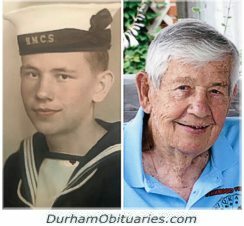 GREER, Neil - Peacefully surrounded by his family, Neil passed away on Saturday, March 30, 2019 at the Village of Taunton Mills, Whitby. He is predeceased by his beloved wife Mary (2015). Loving father of Skip, Richard (Frances), Donna, and Ruth (Tony) Vieira. 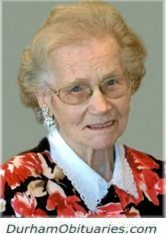 ORLOWSKI, Rozalia ‘Rose’ (nee Turecki) – Peacefully on Saturday March 30, 2019 at Hillsdale Terraces, Oshawa at the age of 105. 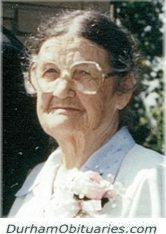 Rose, beloved wife of the late Anthony Orlowski (1979). Much loved mother of Veronika Kitras. Loved Babcia of Joanne Kitras, and great Babcia of Patrick and Daniel. Rose is predeceased by her brother Anthony (Tony) Turecki and her son in law Stanislaw Kitras. It is with love and sadness we celebrate the life and legacy of Ola who passed away peacefully and with dignity on March 30th, 2019 in Bowmanville, Ontario in her 99th year. She was predeceased by husband Teeman, Daughter Bonnie, daughter-in-law Carole Zinck and Son-in-law Jack Knapp. MAXTED, Sylvia - Peacefully in her sleep at Hillsdale Terraces on Saturday March 30th, 2019, at the age of 84. Beloved wife of John for 62 years. Loving mother of Dianne and Mark McGillivray, Donna and Robert Idle, Patricia Maxted and Brad Budway. Devoted Grandma to Amanda and Andrew Strathearn, Sean McGillivray and Candice O’Hara, Derek McGillivray and Catie Kadonoff, Ashley Idle and Matthew Donnelly, Darren Idle and Teresa Giusti and Samantha, Nicholas and Connor Holmes. 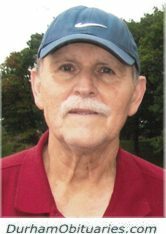 BUSSEY, Herman - Passed away peacefully on Saturday March 30th,2019 at Lakeridge Health Ajax at the age of 70. Cherished husband to June of 48 years. DAVEY, Deborah "Debbie" Margaret (née McDermott) - Passed away suddenly at her home in Bracebridge on Saturday, March 30, 2019 at age 60. Debbie was known for her compassion, her love for helping others, her thoughtfulness and acts of kindness, and of course her wonderful, loud laugh. Passed away suddenly on Saturday, March 30th, 2019 at the age of 82, surrounded by her family. Predeceased by her loving husband Romeo. MEITNER, Sigi - Passed away at Mount Sinai Hospital Toronto on Friday March 29th, 2019 at the age of 70. Most loved Poppy of Nathan and Cameron. Survived by his brother Charlie and his wife Lauri of New York and predeceased by his brother Alfie as well as his parents Alfred and Hilda Meitner. Peacefully surrounded by his family on Friday March 29, 2019 at Lakeridge Health Oshawa in his 94th year. Alex, beloved husband for 61 years of Pauline Korkush (nee Konopacki). BRETHOUR, Lorne - Passed away peacefully, at the Ross Memorial Hospital in Lindsay on Friday, March 29, 2019, at age 82. Lorne Brethour, beloved husband of the late Grace (nee Cupples). Passed away suddenly at home on Friday March 29th, 2019 in her 66th year. 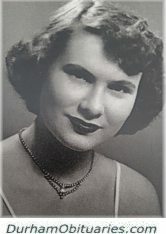 Beloved mom of Chris Bugelli and Kathryn Bugelli (Wayne Kernohan). 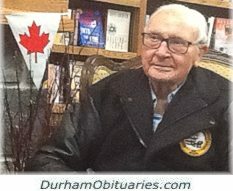 McNAB, Robert Gray - In his 95th year, died peacefully on Friday, March 29, 2019 at Caressant Care Nursing Home in Lindsay, Ontario. ‘Bob’ McNab, was predeceased by his wife, Helen ‘Joan’ Tonkin, his parents, Robert and Barbara McNab and his brother, John ‘Ian’ McNab.